Q: Can you tell us more about yourself? Education? Experience? 2011.09-Now Vice general manager & Director of Promotion and Publicity Dept. Q: Can you tell us more about the city where you come from in China in terms of culture, economy and history? I am from Shanghai. Throughout the past century, Shanghai has had numerous name tags attached to it; like "Paris of the Orient" and "Pearl of China". Images of Shanghai more than any other Chinese city, are bountiful in the west. A visit here therefore, is naturally tainted to some extent, with a preconception of how the city will be. And As the largest and most prosperous city in the nation, Shanghai is the economic, financial and cultural center of China. 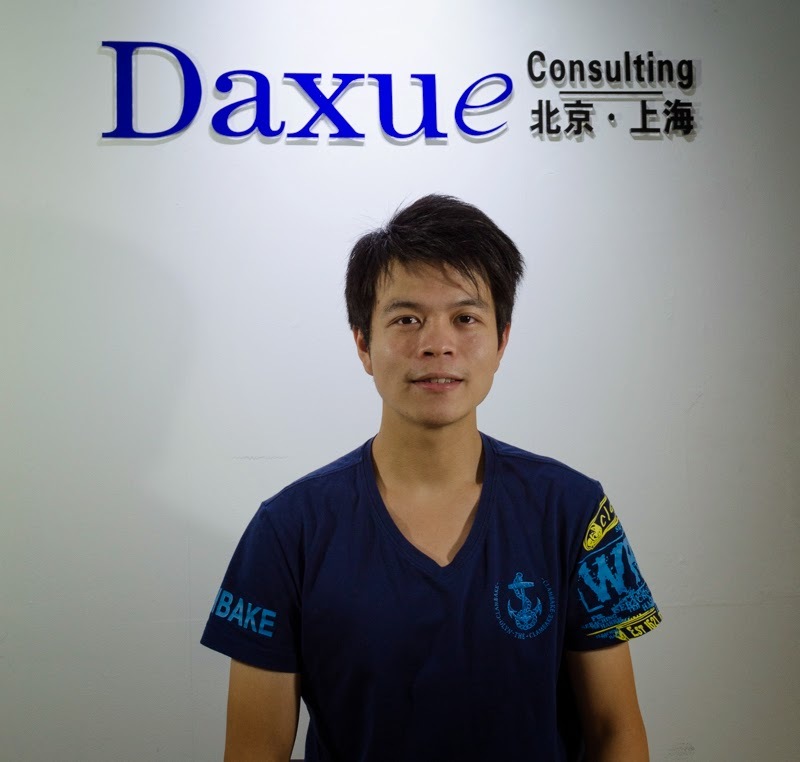 Q: What brought you to Daxue Consulting? I want to learn more about Consulting Company, and learn about different methods of solving problems. Furthermore Daxue is a famous consulting company in my school. Q: Can you tell us about the biggest change you have been witnessing in China over the last 10 years? The biggest change I have witness in China is the the fast development of Metro. Not only in Shanghai, but also in many small cities. For Shanghai 10 years ago there were only 3 Metro lines but now there will be 22 lines in Shanghai. Q: China has changed so quickly. What is your vision of China in 10 years? China will still change much but the speed of change will be lower than before. Maybe there will be another crisis about national economy. But from my view, this will be a big chance of China to become a developed country. Q: How do you see yourself in 10 years? I may have a good job, maybe not a high salary job but a job I liked, after learning enough knowledge. And live a happy life with my family. Q: What do you do in your free time? Why? What for? I surf on the internet in my free time. Surfing on the internet let now what is happening now all around the world and many comments about it. Also can learn much knowledge that our teacher will never told us. Q: What is special about you? Cooking? Playing an instrument? Sport? Painting? Own story? Etc. Hand writing. I started to learn it from 4 years old. And stopped it at 15 years old because some physical reasons.